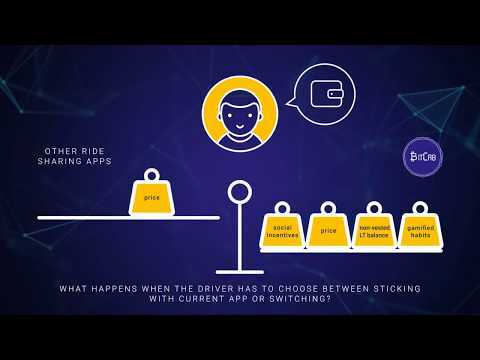 BitCab is Uber 2.0 for the blockchain age, with stronger network effects and loyalty enabled by a superior platform ecosystem, gamification and tokenized technological model. BitCab economics is built around CAB token. All transactions on BitCab blockchain will ultimately be settled in CAB (although for fast adoption Riders and Drivers will be able to choose to pay and be paid in fiat currencies on the front end - but with transactions still settled in CAB at market rates on the back end). This will create real demand for CAB token tied to volume of transactions in the ecosystem. Essentially, all CAB tokens, existing and future, are hence by definition backed by the present value of all future transactions (mostly car rides) on BitCab ecosystem. Like any other currency, CAB can be used to buy and sell goods and services even beyond the BitCab ecosystem. In case of BitCab success, there will be good reasons for wider application of CAB, such as millions (and billions) of users of the currency and it being backed by real value of mobility services it can be redeemed for unlike vast majority of both crypto and fiat currencies. The present value of all future mobility services on BitCab ecosystem therefore represents not the ceiling, but the floor for the value of CAB. There is unlimited upside in CAB being adopted for wider uses - similarly to BTC, LTC, ETH and USD.